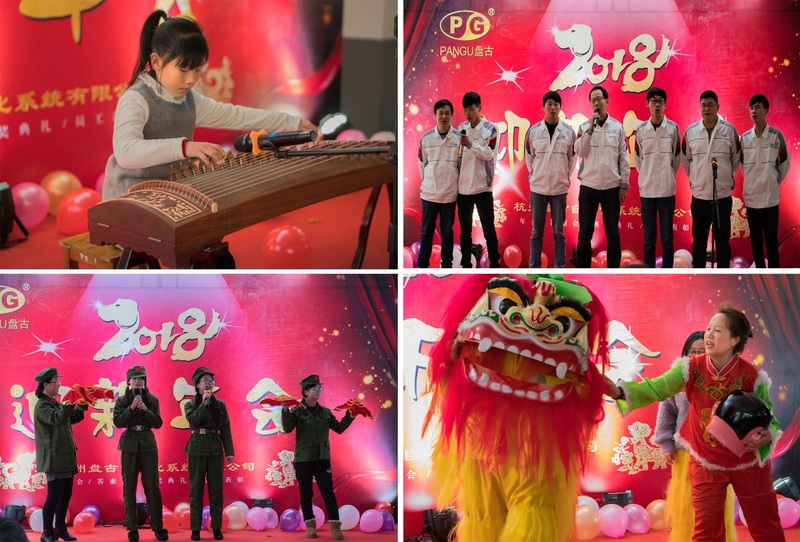 Farewell to 2017 and welcome 2018: the annual New Year gala of PanGu successfully held-Hangzhou Pangu Automation System Co., Ltd.
With the falling heavy snow, the annual New Year gala of Hangzhou PanGu is ceremoniously held at Xianlin Factory in the afternoon of Jan.28, 2018. The theme is mainly about annual conclusion and commendation, which divided into three parts including general manager speech, project manager speech and shows. 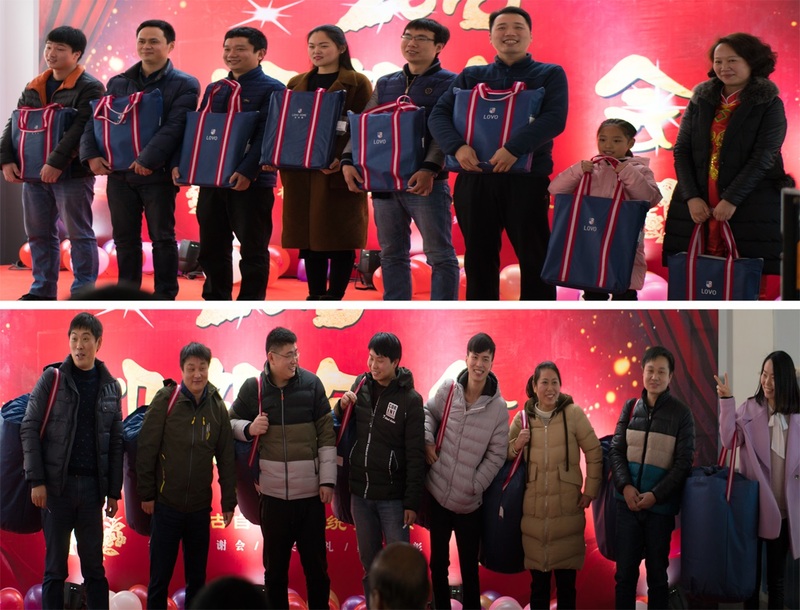 All of the PanGu’s staff, work companions and former staff, with fully charged passion, are all gather together to enjoy and celebrate, to look back how far they’ve got, to conclude the experience and to look forward to the future. 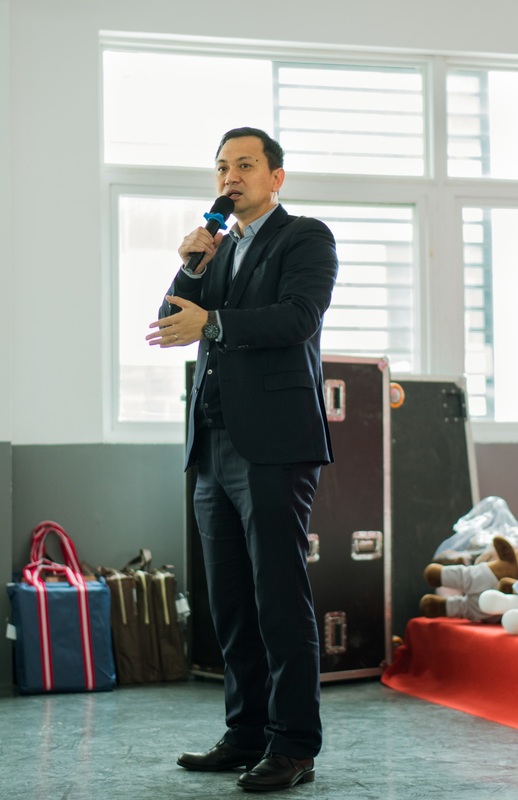 The general manager Mr. Guo Haojie represents Pangu Automation System Co., Ltd to sum up and review the grade and performance of 2017, and also, gives a New Year toast. As the most cheerful and memorable year, the company’s figure rose up almost 20% in 2017, which is a great leap forward. Moreover, with a great number of newly employed staff flooded inside activating the energy, the inner structure got optimized and impressive performance from different departments were shown. With several years of accumulation, PanGu got its eruptive acceleration in the year of 2017. When it comes to 2018, let’s set the sail once again, as the fresh beginning of “second start-up”, to relay our baton to the next generation of creativity and activity. Let’s continue to expanding our business module, with the foundation of insisting on the original business. Let’s make “Wisdom in China” become greater and stronger. The four major managers separately went upstairs to address the speech of annual conclusion and expectation for 2018. 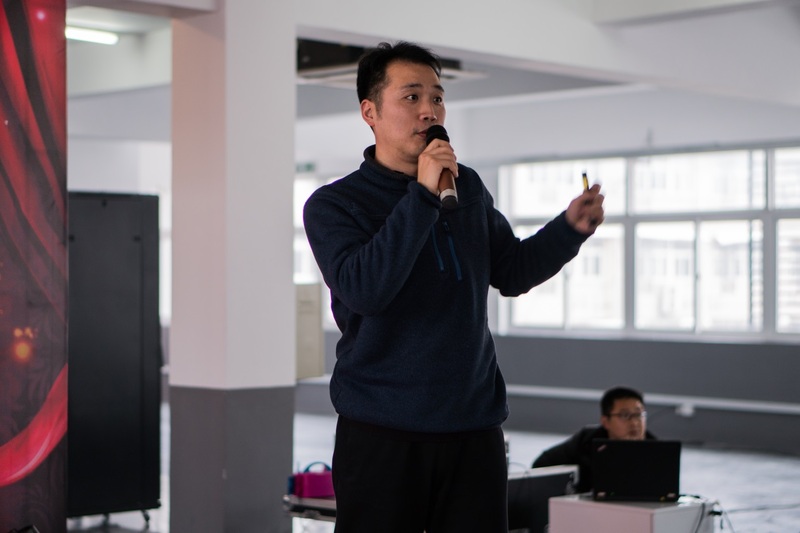 Shen Yufu, the manager of recorder business department, is making the report of the development projects of Pangu’s recorder and flow totalizer. 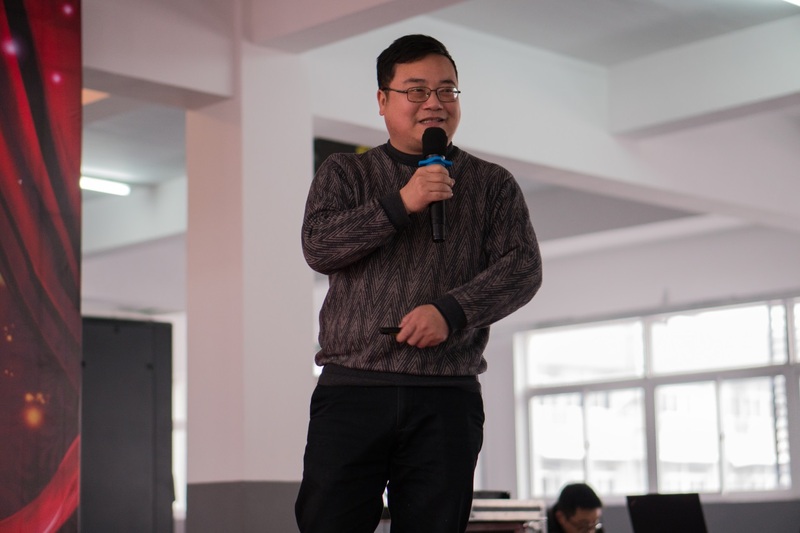 Xu Zhihua, the manager of controller business department, is making the report of the development projects of Pangu’s heat analysis instruments. 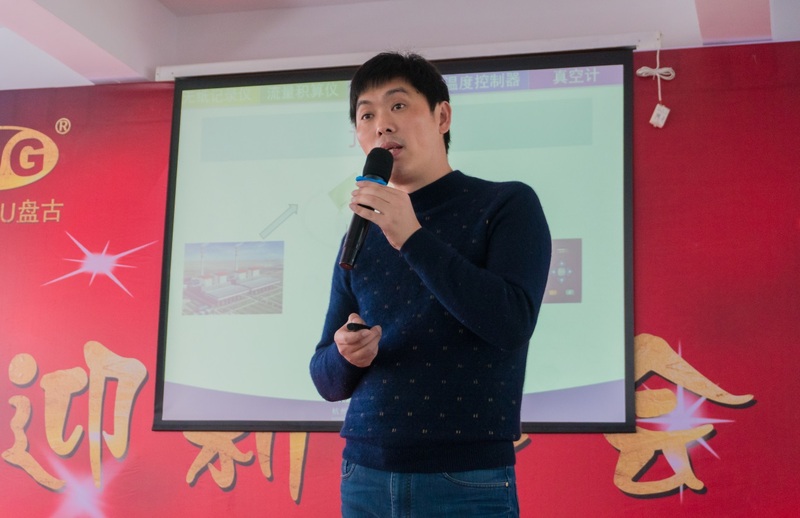 Guo Wei, the manager of flow business department, is making the report of the development projects of Pangu’s electromagnetic flowmetre. 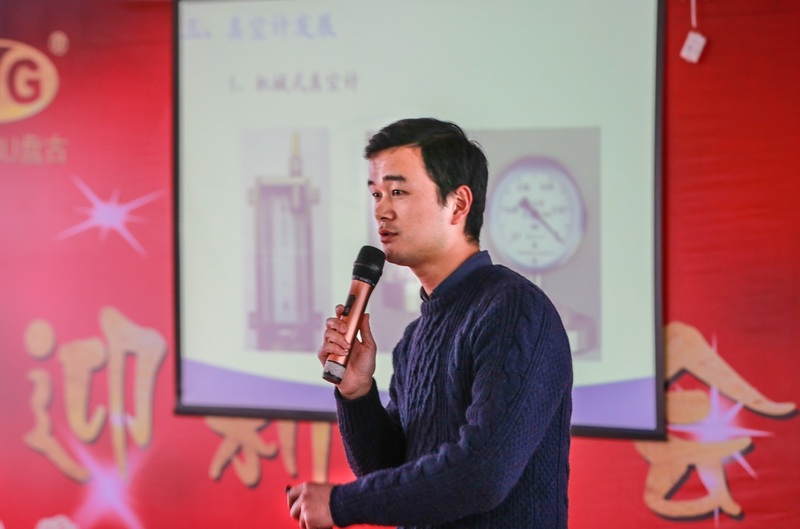 Zhang Songquan, the manager of vacuum business department, is making the report of development projects of Pangu’s vacuum gauges. After the closing statement, came up the most cheerful show time. Everyone who works at PanGu exhibits their amazing talents. Their shows are truly marvelous, alternated with lottery drawings that push the atmosphere up to a new level again and again. Singing, playing Zheng, solo cross talking and dragon dancing, old and new members shows their gifts to celebrate the New Year. As a big family with strong cohesion and spirit, PanGu has always been adhering to the idea of people-oriented and development on creativity. 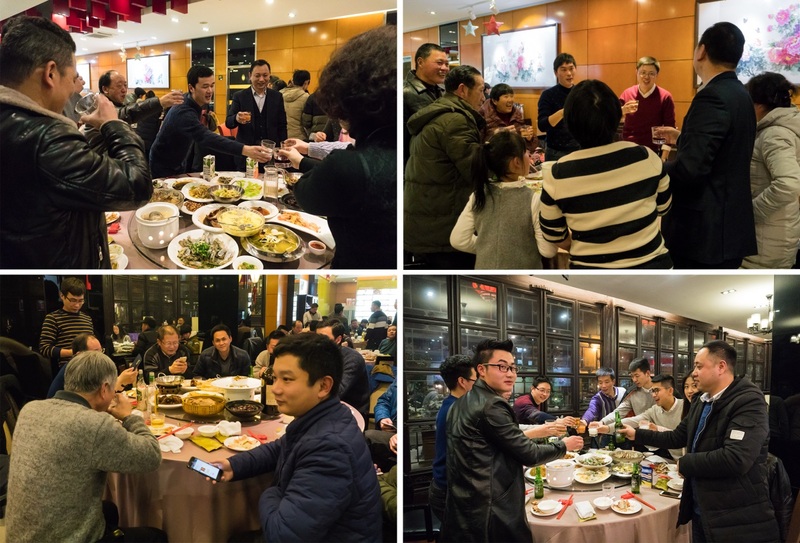 At the dinner afterwards, Manager Guo states that PanGu will hold on to the filial-pension mechanism and keep on optimizing and reforming the way it delivered, and make sure that the company culture and spirit are able to scatter and penetrate to the deep down of every staff’s heart. Let us drink a toast together. It’s a fair ending of the 2017 and a grand opening for the 2018.